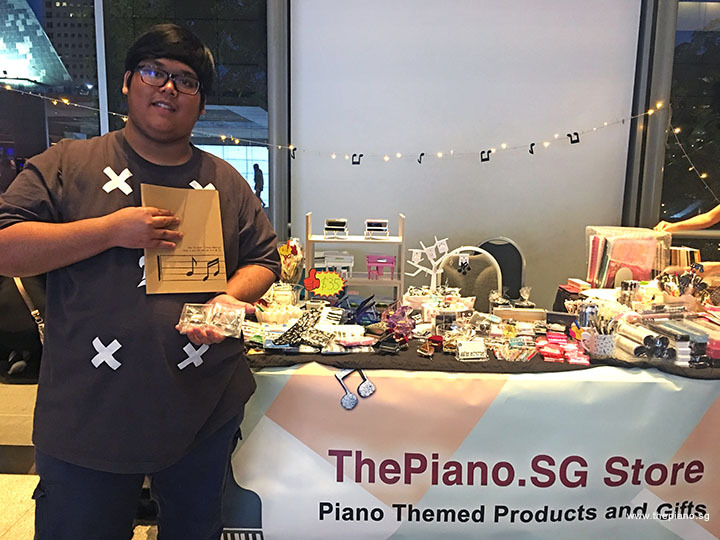 In early 2018, ThePiano.SG launched its Online Store. 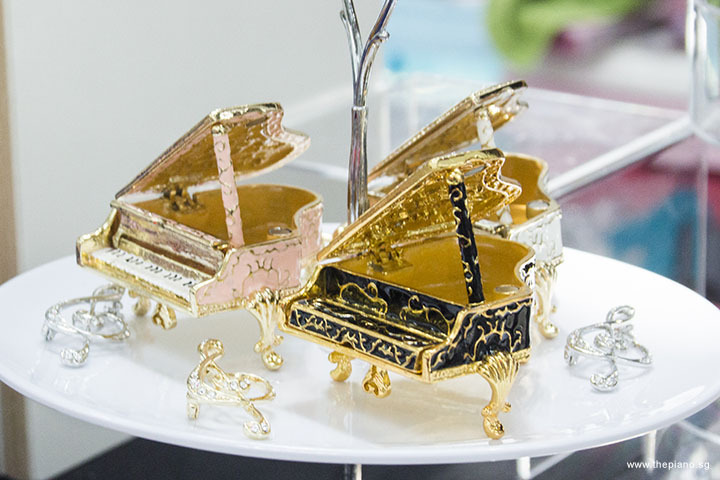 Finally, piano lovers have a place from which to obtain their piano memorabilia easily, and reliably. 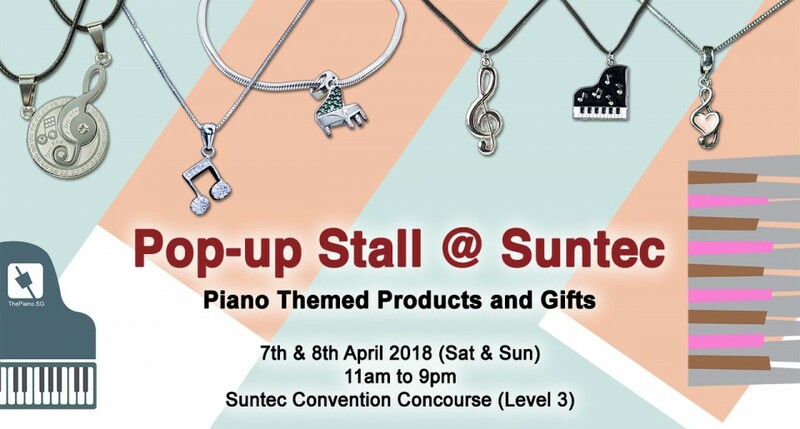 What better way to complement one’s musical journey with some memorable knick knacks from the first and only piano portal in Singapore, with the largest piano community? 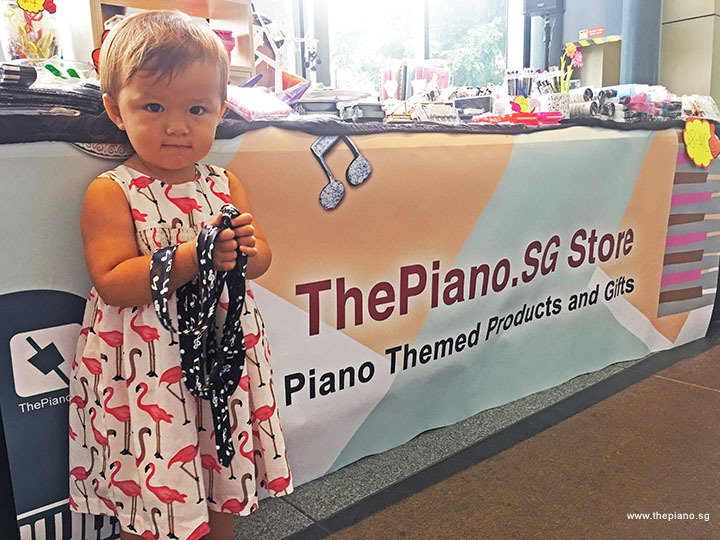 Indeed, since the Online Store was open to the public, it has seen great patronage from not just Pianovers but also others outside the community. 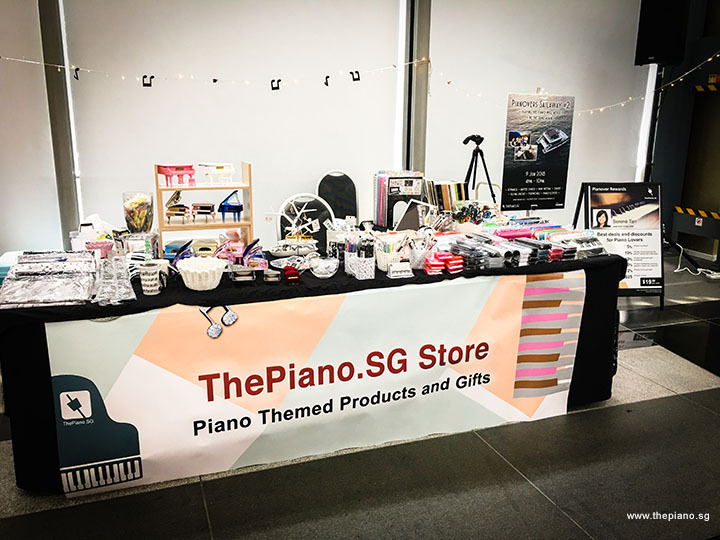 Over the last weekend, ThePiano.SG took things one step further by hosting a pop-up stall at Suntec Convention Concourse, Level 3. 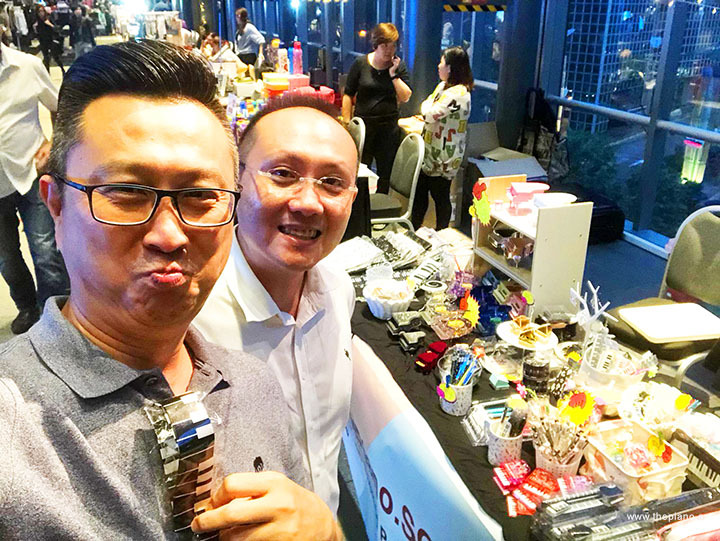 Over two days, 7-8 April 2018, a most elaborate stall, complete with the offerings from the Online Store, was set up from 11am to 9pm. 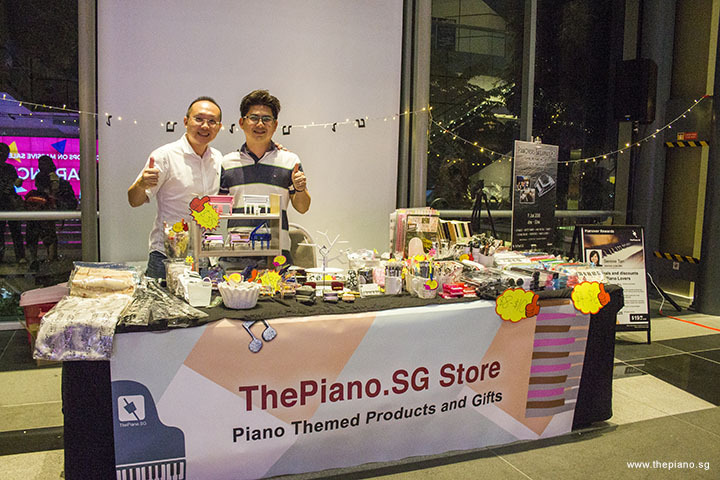 Four tables were used to showcase the wide range of piano-themed products and gifts that ThePiano.SG carries. 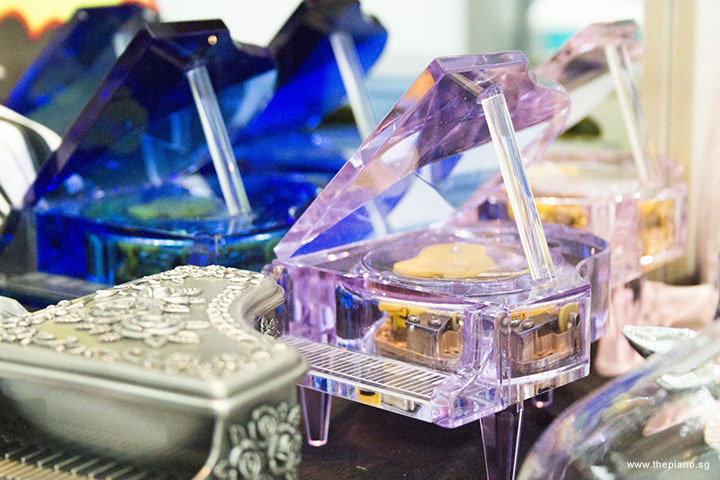 It was mind-boggling to see the range that was on display – more than 110 unique products in all! Over the course of the event, we received many visitors. We were most happy to see families, friends and of course, our Pianovers, coming to support us. We were elated that members of the public came to support us too. To all who came over the two days, we are immensely thankful and grateful! 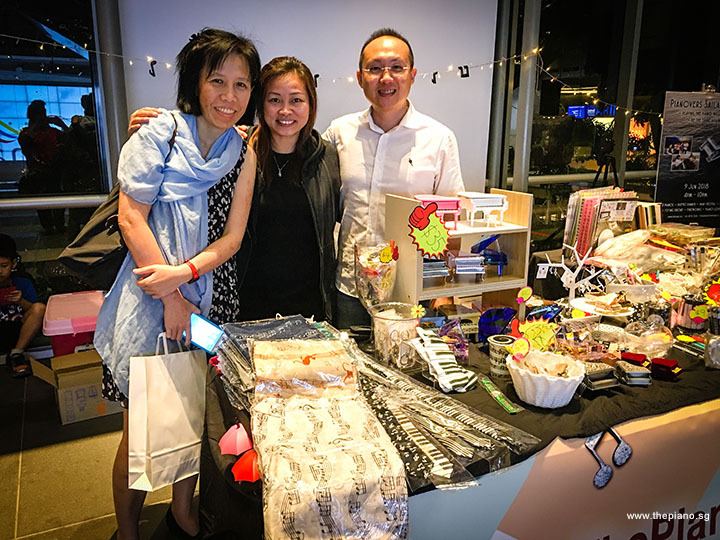 For those who missed our pop-up stall at Suntec, fret not! 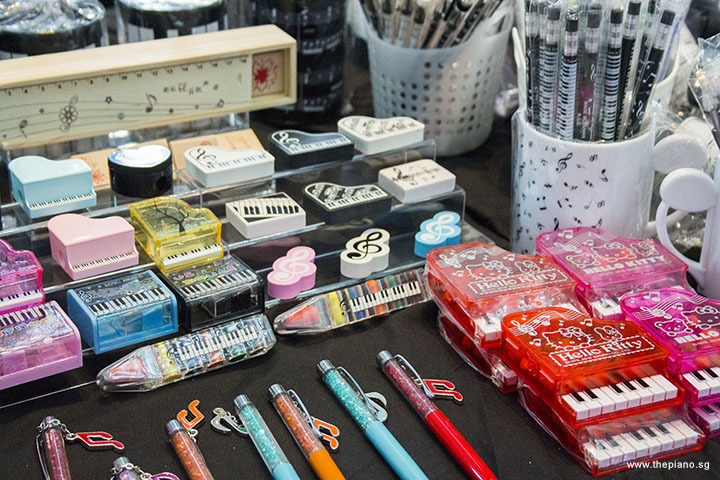 You can still browse our wide range of products in our Online Store, which houses the largest collection of piano-themed products and gifts one can find in a piano portal. The collection here is not exhaustive, however, as we continue to expand our collection and offer you even more choices. 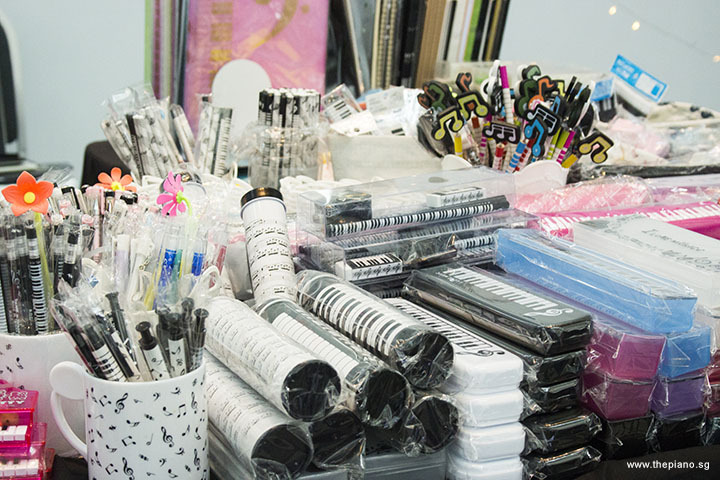 From stationeries and jewelleries, to tablewares and fashion accessories, there is bound to be something for everyone. The stationery items, with colourful items like notebooks, erasers and pens, are great for use at school and will be suitable for children. Likewise, the fashion accessories will appeal to ladies, who will surely love the earrings, necklaces, scarfs, hair clips and jewel boxes. 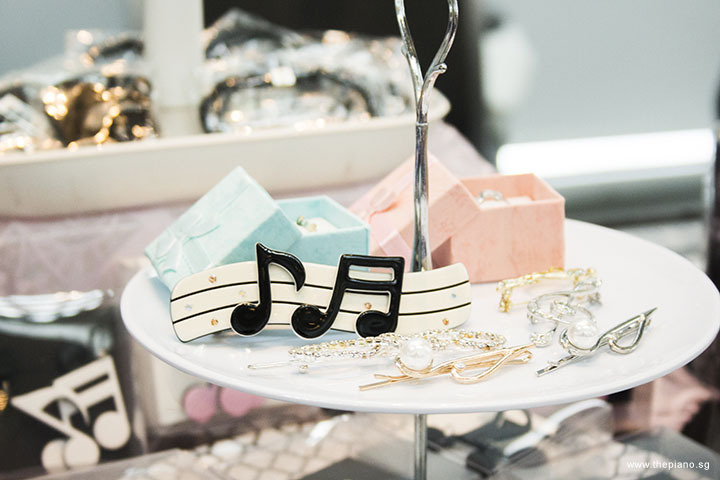 Expand your jewellery collection with our musical-themed accessories! 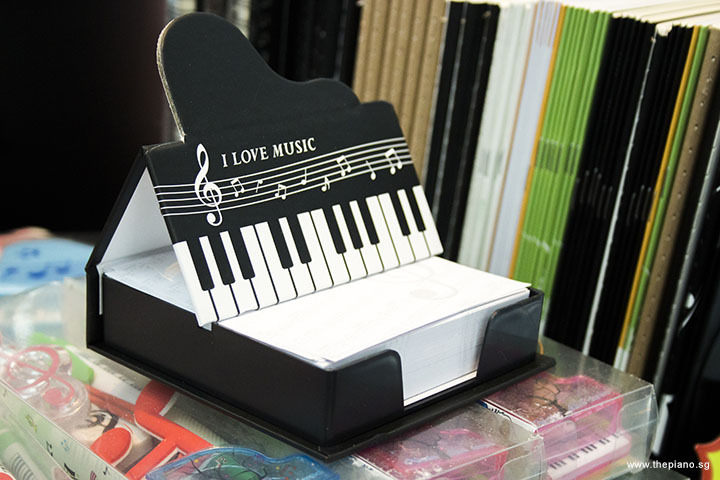 There are even bags and travel accessories for those yearning to bring their musical memories along on their holidays! 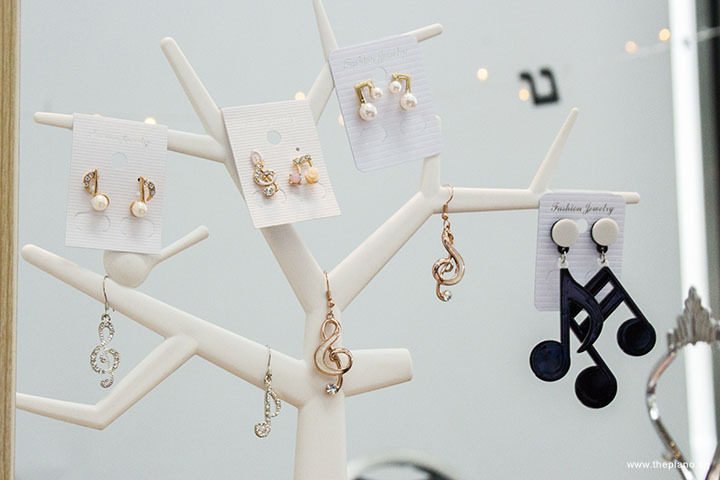 Even if you are buying gifts for your friends or a piano teacher looking for something to reward your students for their good performance with, you will be spoilt for choices at the range we have in the store. Our items make good gifts for birthdays and Christmas too! If you are a music school owner, a piano merchant or even an individual who is looking for business opportunities, you may consider our Reseller option. Our items will certainly add much colour and variety to your offerings. 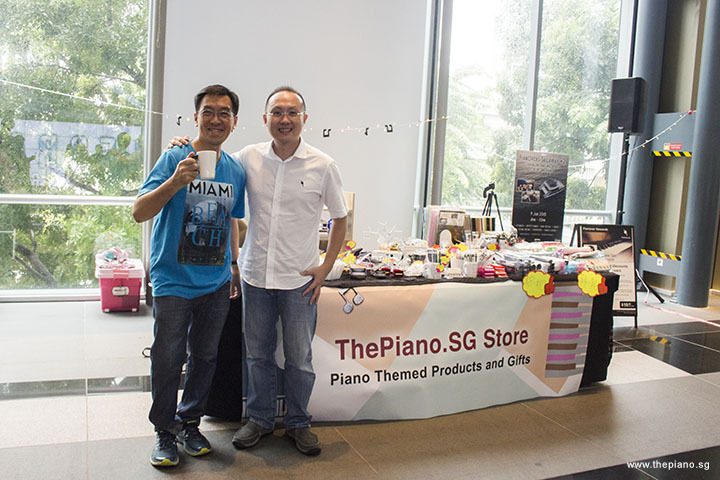 Do contact Sng Yong Meng, Founder of ThePiano.SG at yongmeng@thepiano.sg. Great news for Pianover Rewards Card members! 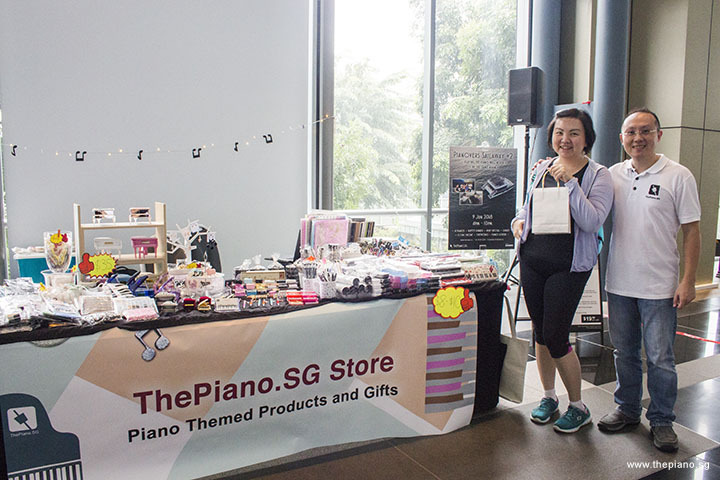 You are entitled to a 10% discount off our piano-themed products and gifts at ThePiano.SG Online Store. Other benefits of the Rewards Card include up to 5% piano purchases at participating merchants (imagine a $250 discount off a $5,000 purchase! ), 10% off piano books and music accessories, 10% off piano maintenance, servicing, regulation, repairs and restoration, up to 12% off piano tuning packages, as well as up to $25 off piano-moving. For the full and most updated list of benefits, learn more at our list of participating merchants. 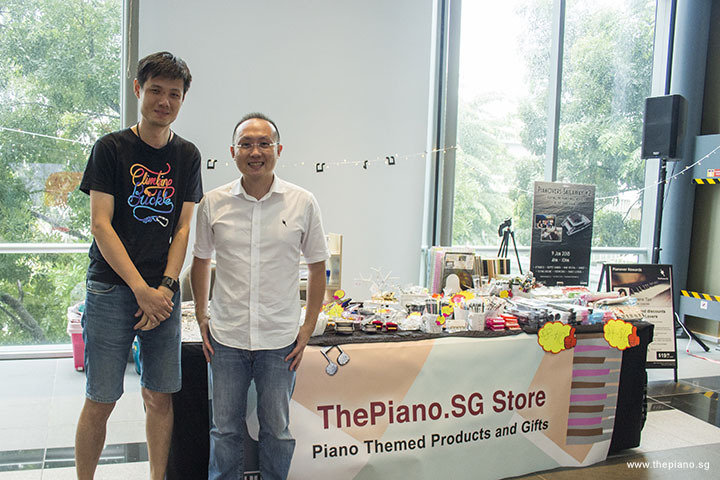 Apart from hosting an Online Store, ThePiano.SG also conducts a weekly gathering at The URA Centre, known as Pianovers Meetup. 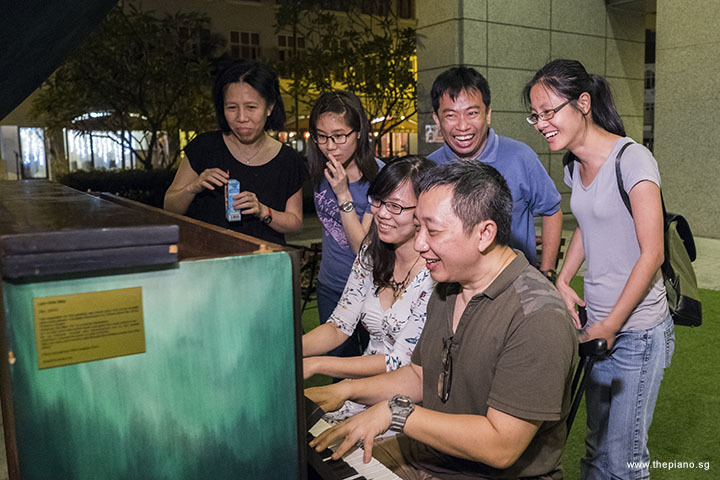 During these sessions, piano lovers not only network, bond and exchange ideas about music but also get to play on Singapore’s only platform for the ordinary people. 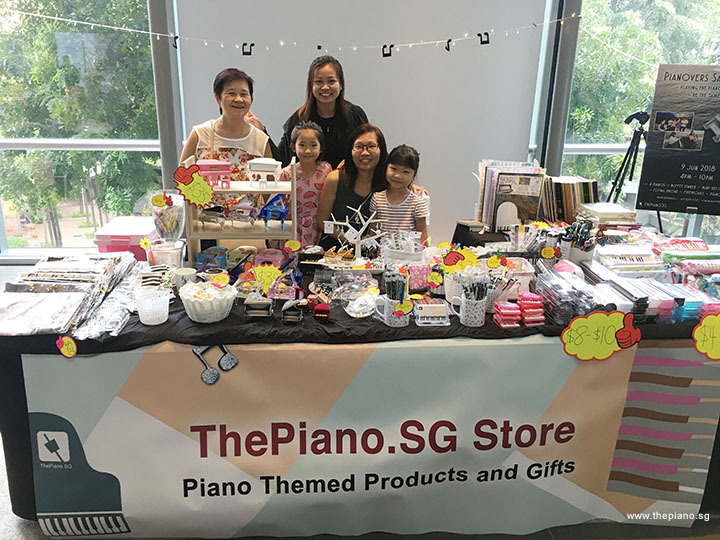 Since Pianovers Meetup held its inaugural session in July 2016, it has been featured in various media, including the newspaper and television. 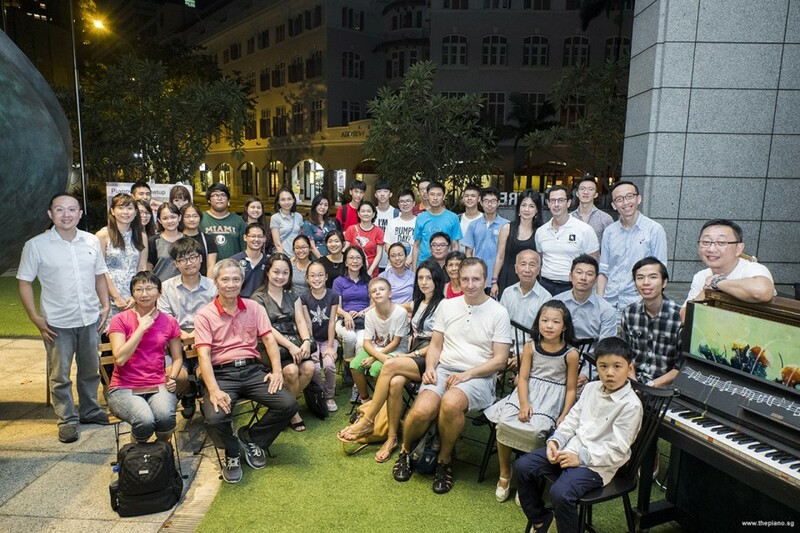 We are especially happy that both The Straits Times, Singapore’s national newspaper, and Challenge magazine, publication of the Public Service Division, Prime Minister’s Office, have chosen to feature Pianovers Meetup. 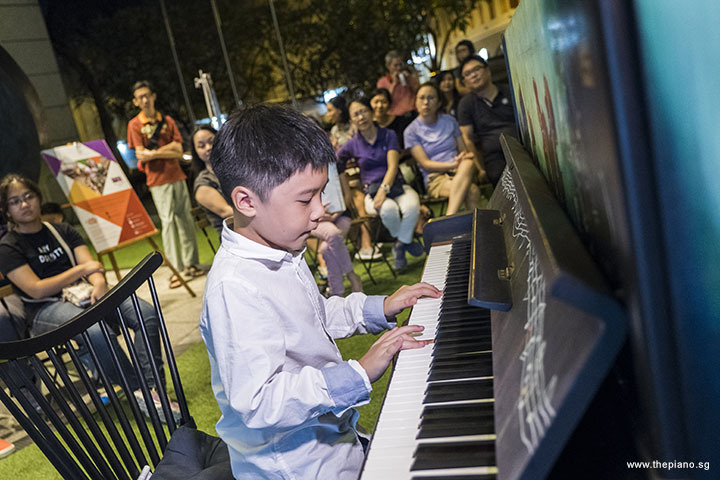 These are testament to our efforts in bringing piano closer to the community and strengthening the Singapore spirit. So, yes, you can even do a self-collect the items you purchased from our Online Store, at Pianovers Meetup! What's more, there are two upcoming Pop-up Stall events we are involved in, and we would love to see you there! I feel like skateboarding is as much of a sport as a lifestyle, and an art form, so there's so much that that transcends in terms of music, fashion, and entertainment.